Recently on The Exchange, Rice Broocks joined Ed Stetzer to discuss the role of the evangelist in the church. Every pastor wants the church to grow. I want my own church to grow. The broken find healing from their wounds. The addict set free from their addiction. The morally upright find true righteousness. I want to visibly see the power of the gospel changing lives on this side of eternity. 17% is migration of believers between churches. Of those 3% that are growing, most are focused on “Come and see” versus “Go and Tell” which suggests the church is not doing well in equipping people to share their faith. 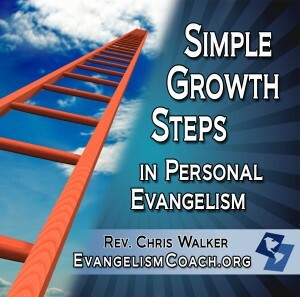 (Here is how I do evangelism training). We are not clear what the gospel is. We hope people admire our works and ask us about our faith. The New Testament evangelist is there to equip the saints. Equipping church members to do the same. This is my purpose in running EvangelismCoach.org as a website and teaching ministry. Without hesitation when conversational moments arise. Helping newcomers build new relationships with your church. Is it ever too soon to share the gospel?